Trump’s domestic woes as an unindicted co-conspirator inevitably make him weak on the world stage. Foreign adversaries don’t take seriously a president who looks as though he might be impeached. And they know that presidents under siege in the capital do not have the leisure to attend to foreign affairs with any concentration. Even friends and allies of the US will find the temptation, of playing on his weakness, irresistible. 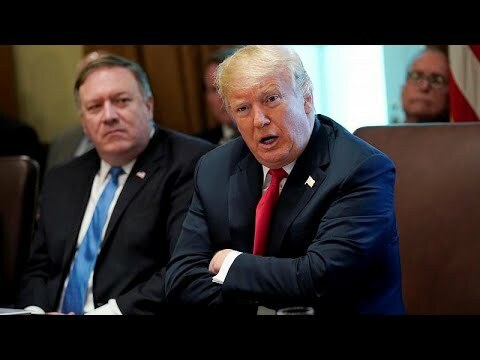 Trump abruptly canceled a trip to North Korea by Secretary of State Mike Pompeo on Friday, blindsiding the department, out of pique that N. Korean “denuclearization’ wasn’t going well. Only in Trump’s fevered imagination had that ever been even a prospect. But it seems clear that Pyongyang has no fear of a wounded Trump. It doesn’t sound to me like the Iranians are very afraid of Trump. It doesn’t sound to me as though anyone is.